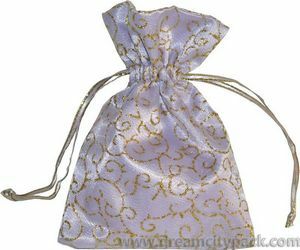 This pouch is a combination of organza and satin fabric. It's satin fabric on one side with shiny look,and organza fabric on the other side,so you can see through. 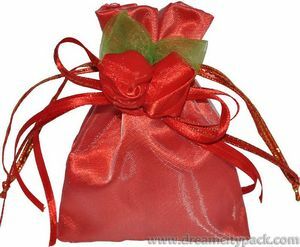 It has a ribbon drawstring at top. We can provide 100+ colors of such bags. It's great to pack gifts,favors,jewelry,and more. 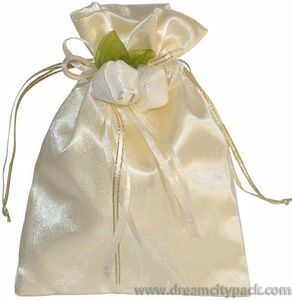 Fabric: Organza fabric on one side,satin fabric on the other side with satin ribbon drawstring.